We've all got death ahead of us no matter what we do, and thus it's a topic that touches us all. Normally I wouldn't write about death or dying on a platform that is as centered around aesthetic sensibilities as ours is, but I know that many of our readers are interested in living an intentional and well-crafted life, and I found these three pieces of information to be particularly insightful pieces of that equation. The first one is a little more whimsical in demeanor if not in content. 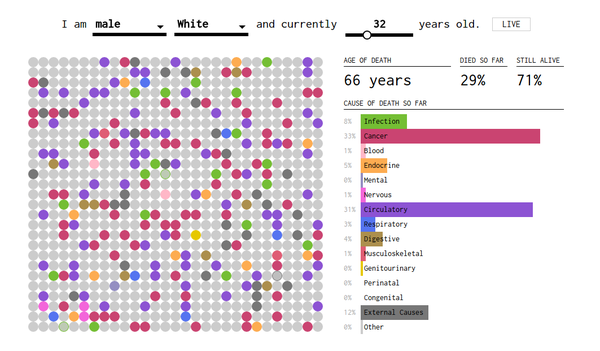 It's an interactive chart from FlowingData.com that quasi-jokingly claims to compute how you'll die, statistically speaking. You punch in your demographic information, and based on the Underlying Cause of Death database from 1999-2014 maintained by the Centers for Disease Control and Prevention, it'll give you information on what is most likely to kill you and your demographic, and then you can watch that underlying cause change as you let the model run and your information changes with age. It's super nerdy but has a great visual system for representing the data which I thought made it worth taking a peek. 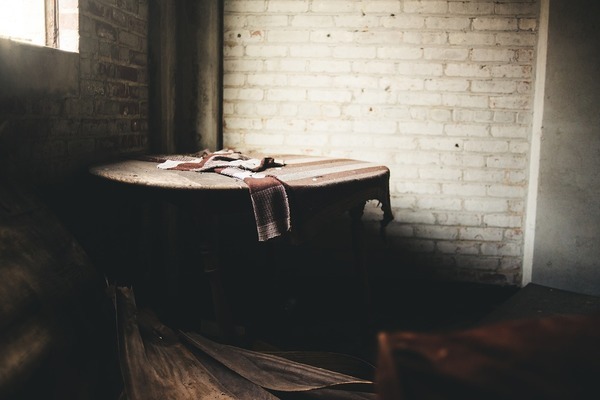 The second thing is this Art of Manliness podcast interview with Barbara Karnes, a hospice nurse with a lifetime of experience and many published books under her belt on the subject of death in modern society - its myths and misconceptions. It goes through the science of how the body prepares for death and what the process is actually like both for the dying and the loved ones who are there, and so much more. As a guy who only made it halfway through training to be an EMT before other jobs made me postpone my studies, one thing I remembered from my teacher was that dead people's eyes don't stay closed when you delicately bring down their eyelids like they do in the movies. In fact you have to hold them shut for about 30 seconds before they stay that way. The whole podcast is riveting and I think will give you some meaningful thoughts to think about before moving on with the rest of your week. Finally, I've started moving beyond podcasts in my day to day listening and slowly branching into the world of open courses online. 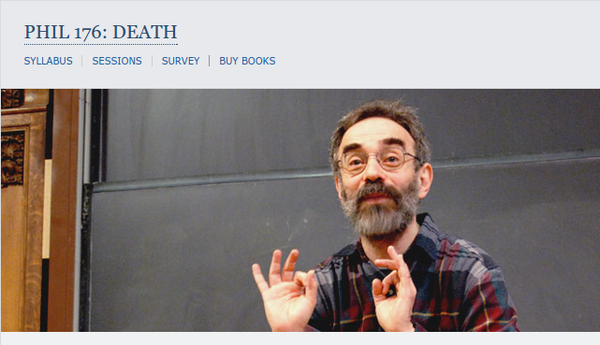 In my recent search I came upon Yale philosophy professorial legend, Shelly Kagan's infamous course simply called "Death" and was blown away to find it online. Shelly Kagan was one of the big name professors everyone said you had to take a class from when I was at Yale, and (un)fortunately there are a lot of those there, so I was never able to take his class. However, the praise I've heard from everyone who did take it makes it worth checking out, not to mention you can spend a couple hours with one America's great philosophical minds as he works through a series of questions all relating to death. So those are all just little starting places I'd suggest checking out in as it relates to thinking about death and how that might effect your life. I'd also love to hear comments from anyone who checks these out and if you have other recommendations on good sources to check out relating to these ideas.